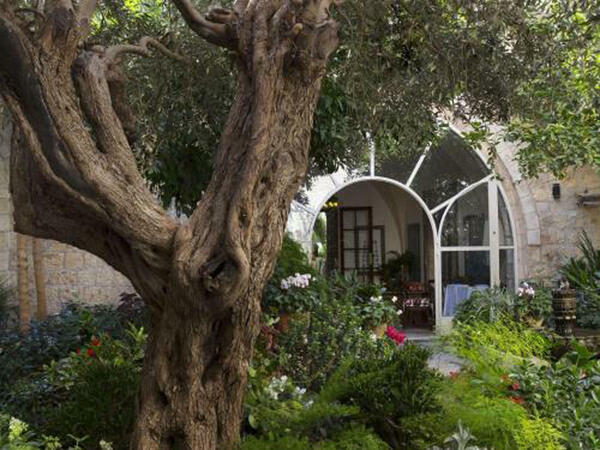 With its romantic Summer Bar, cosy Cellar Bar, signature Courtyard restaurant, designer pool, peaceful gardens & the cheery winter fireplaces in Val's Brasserie and the Lobby, The American Colony is one of the top hotels and venues in Jerusalem for all seasons. Linger over a buffet breakfast in our Courtyard garden and sample an omelette made to order for you by our breakfast chef. Outside visitors are warmly invited to enjoy our morning treat as well. 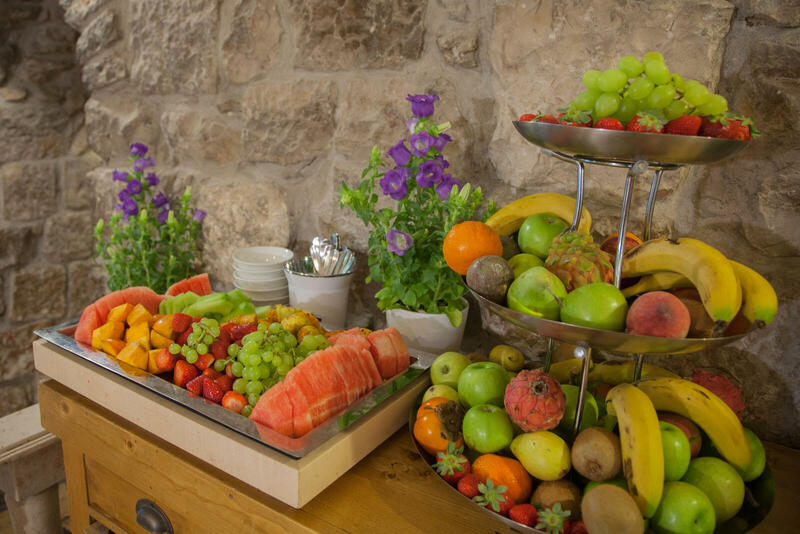 We always use the freshest seasonal and regional fruits to be found, including organic produce from our very own East House Garden. Barbecues, served outdoors during summer nights in the romantic Palm House Garden. Made to order, our Summer Bar charcoal grills feature meats of your choice, fresh cocktail, over-baked goods and much more. Look out for seasonal fruits, herbs and flowers in our gardens, which are full of inviting spots where you can sit and relax at any time of year. Browse Munir’s shop for local antiques, treat yourself with a fascinating book from The Bookshop or enjoy a cappucino in the Terrace Café. Whatever you choose, you're very likely to feel in the right place, at the right time. Our Summer Bar will set your mood with your favourite drinks & cocktails, a selection of draft and bottled beers, including Taybeh, the local Palestinian beer, and of course, wines from our celebrated cellar. With complimentary bar snacks to follow, there is no room for mistake.